If you want to know the events happened when Andrew Jackson became the president of US, read the following Facts about Andrew Jackson’s Presidency. This man was the 7th president of United States. He served the office from 1829 till 1937. He was born on 15 March 1767 and passed away on 8 June 1845. He ran for the presidency in 1822 after being nominated by Tennessee legislature. Therefore, he took the position as the United States senator again. But he lost the presidential seat in the election. The quest of presidency did not stop after his failure in 1822. In October 1825, he resigned from the senate and wanted to get the presidential seat. Once again, he was nominated as president candidate by Tennessee legislature. Get more facts about Andrew Jackson here. To gain a lot of support from the public, he created the strong and powerful coalition. The men who supported his presidency in the camp were John C. Calhoun, Martin Van Buren, and Thomas Ritchie. Adams, another candidate for president was defeated in 1828. The Age of Jackson as a president in 1829 till 1837 formed the American politics and national agenda. The voters were not only from the elites. He also gained the support from the ordinary voters. During his inauguration, he made breakthrough by inviting the public to come the White House ball. But the situation went chaotic after the crowd was not in control. There were many poor people coming to the ball. To support his presidency, he chose John Branch Secretary of Navy, Martin Van Buren as Secretary of State, William T. Barry as postmaster general, Samuel Ingham Secretary of Treasury, John Eaton Secretary of War, and John Berrien as Attorney General. His first cabinet was filled with a lot of gossip and partisanship. Therefore, his cabinet was not successful. It could not impress the people. He discharged most members in the cabinet in by the spring 1831. The remained one in the cabinet was Barry. There were at least 70 treaties that Andrew Jackson had created in his eight years in the office. 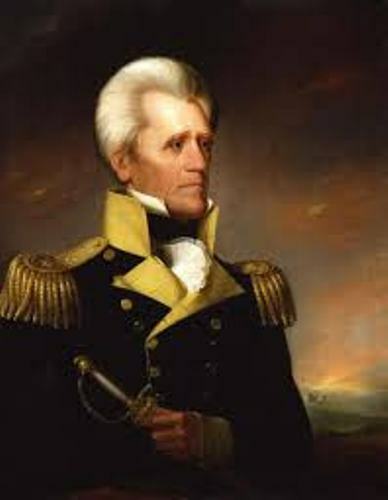 A policy of Indian removal was proposed by Andrew Jackson during his presidency. It marked the new relation between the Anglo American and Indians. 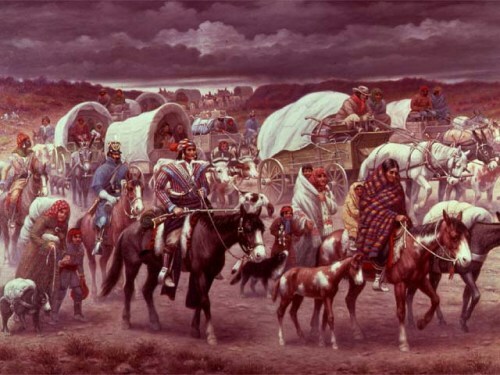 “Trail of Tears” was the important event during the American history. 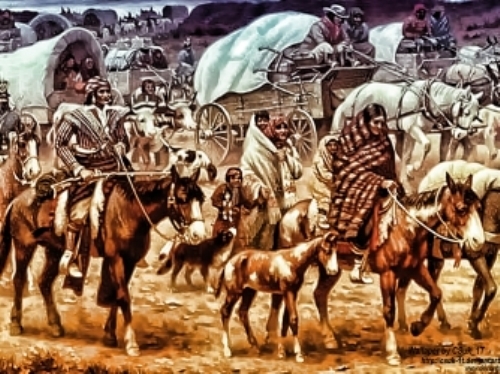 There were at least 40,000 Cherokees died when they were relocated. Check out American history facts here. Do you have comment on facts about Andrew Jackson’s presidency? Facts about Ancient Sumer tell you about the first human who created the first ancient civilization in the world.